Here are 17 of the best Maui activities on a budget - and they won't cost a thing. 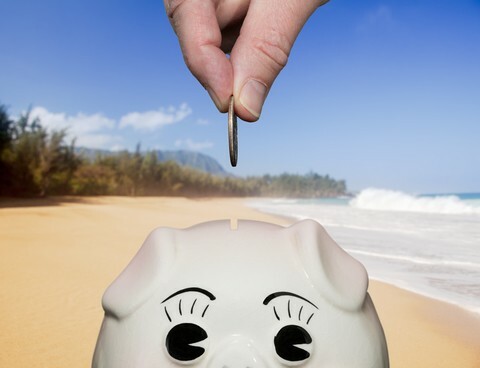 THIS is how you stretch your vacation dollars to the max, and still have an epic holiday! No filler on this list either - only the best for you, my friend! Save Money with Free Attractions! 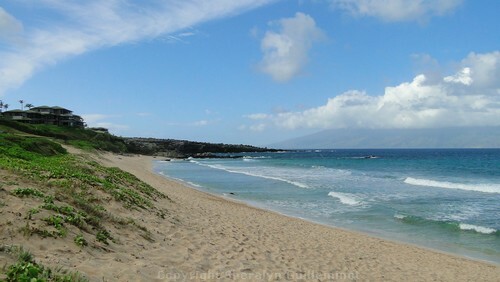 One of the very best things to do in Maui for free is heading off the beaten path and finding a gorgeous beach that is NOT overrun with people. Sure, you might have to work a bit to find these gems, but you won't have to work tooo hard, I promise! This journey is truly one of pure magic and by far, one of the best Maui activities on a budget - I still remember the intense feeling of awe I felt, gaping at the beauty around me, the first time we set out on this drive. This is the Maui of your tropical fantasies right here. 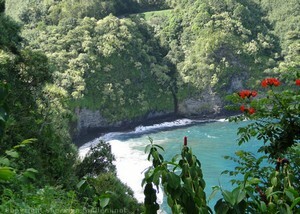 And, other than the cost of your tank of gas, driving the Hana Highway is free. 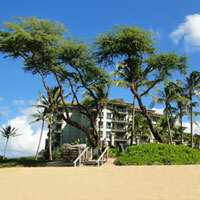 Every night just before sunset, you'll hear the call of a conch shell on Kaanapali Beach. This marks the start of the cliff diving ceremony put on by the Sheraton. You'll see a warrior in traditional dress light the torches along the top of Black Rock, marking his path as he heads to the edge of the cliff for a spectacular dive into the ocean. And if you want to see something less dramatic, during the daytime you can see loads of amateur cliff jumpers whooping it up as they take a flying leap! Do you want to impress your friends back home by serenading them with "Somewhere Over the Rainbow" on a ukulele? Do you gaze with longing at the ukulele's for sale in the ABC stores? Fear not! You, too, can learn to play the ukulele! Every Tuesday at 5:45 p.m., the Lahaina Cannery Mall offers free lessons. Just go! You'll be glad you did! 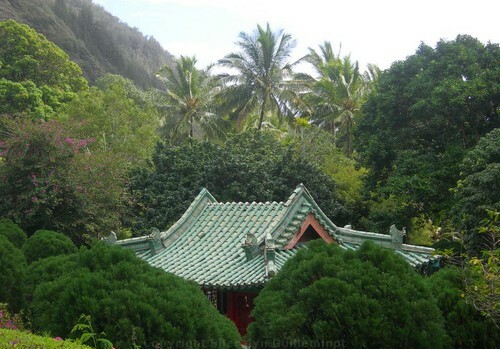 Iao Valley is full of gorgeous tropical forest, cloud mist, botanical gardens, and historical sites. And you can hike in there too. Swim with fish and sea turtles in a snorkelers' paradise. Why not? Every time I put on my wetsuit and snorkel gear, and wade into the pristine waters off the beach, I am amazed that something free can be as incredibly fun as this. 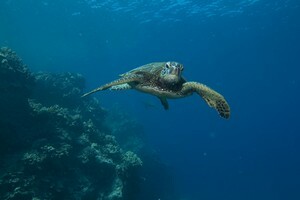 The first time I snorkeled with a wild sea turtle I felt like a kid at Christmas! 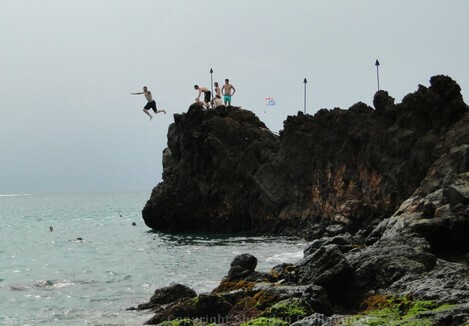 No doubt about it, this is one of the best Maui activities on a budget. While most of the island's museums charge a fee, there are still a few freebies left. They're open 9 a.m. to 5 p.m., seven days a week. You'll find it in the 150 year old courthouse on Prison Street in Lahaina, adjacent to Banyan Tree Park (another site worth seeing that won't cost you a dime!). And don't forget to check out the old prison in the basement - it's now an art gallery, but you can still see the old cells with their iron bars. They're open 9 a.m. until 6 p.m. daily and can be found on the upper level of the Wharf Cinema Center at 658 Front Street. 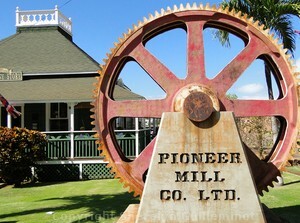 You'll find artifacts and photos depicting the life and times of the sugar and pineapple plantation era in West Maui. 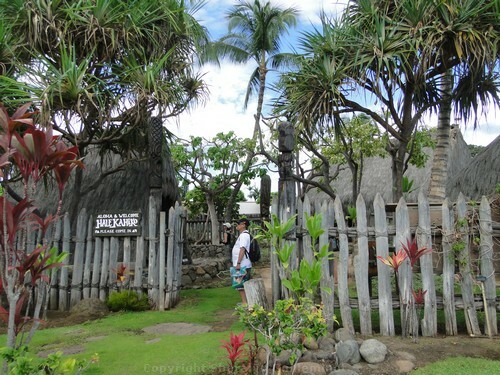 Hale Kahiko is a replica Hawaiian living compound behind the Old Lahaina Center - definitely worth a visit if you're looking for the best Maui activities on a budget. It's small, but really cool - everything in here is constructed as it would have been in times of old. You can explore all of the buildings (inside and out!) 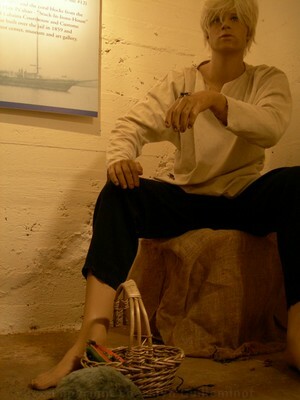 and imagine yourself living in ancient Hawaii. It's open from 9 a.m. until 6 p.m. daily. Be sure to check out one of the blow holes on the island. These things are so cool, especially if you are lucky enough to catch them going nuts, spouting water crazy high. If you drive the Road to Hana as I suggested, you should definitely stop off at Waianapanapa State Park and check out the blowhole there. 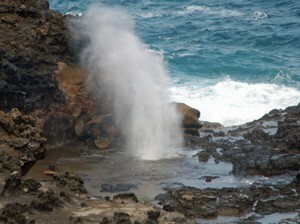 Another cool option, my favourite blowhole in fact, is the Nakalele Blowhole on the west side, past Kapalua. Head over to Whaler's Village off Kaanapali Beach every Tuesday and Friday for their free lei-making workshops. You'll learn how to make flower, ti leaf, haku (braided style) and wili (winding/twisting style) leis. The classes run from 11 a.m. until 1 p.m.
And if you don't know how, trust me, it doesn't matter - you'll figure it out! 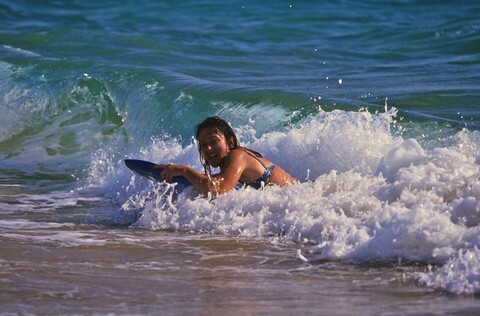 If you save money on accommodations by renting a condo, many of them will have boogie boards for you. They look like a chopped off surf board, just large enough to lie your upper body on it. This is one of those Maui activities on a budget that's guaranteed to have you giggling like a little kid once you get the hang of it. Bet you never expected free things to do in Maui that are as much fun as this... go on and try it, you'll see what I mean! 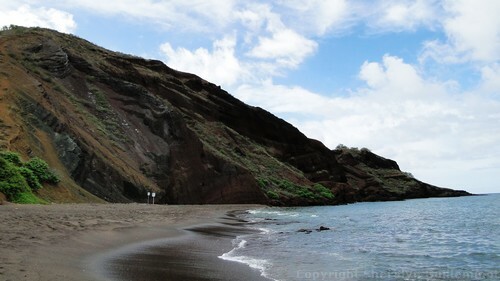 Check out Maui's cattle country with a drive to Tedeschi Winery. It's Maui's only winery, and in addition to all the normal grape-based wines, they also make a pineapple wine that is delish! 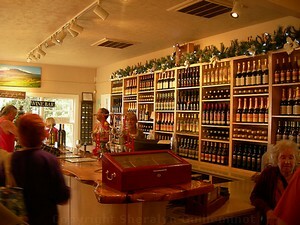 They offer free tours and wine tastings daily. The drive out here is gorgeous - and the views of Maalaea Bay on the way back are stunning! I used to worry that hiking without a guide would be risky and I'd get lost. But now I know better. There are countless well-marked trails all over the island that are suitable for everyone from total novice to expert. 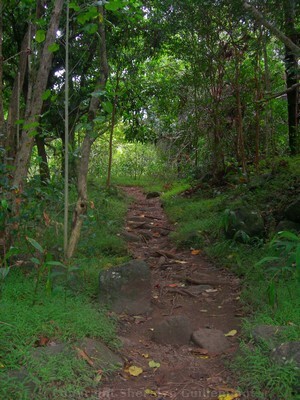 You can hike to the petroglyphs at Oluwalu, through a bamboo forest to a 400' waterfall on the Pipiwai Trail, through the jungle to more waterfalls, or something super easy like the Kihei coastal trail. I haven't gotten a chance to write about them all here yet, but if you'd like to know ALL the options available to you, the best resource I've found so far is Sarah Benson's book, "Top Trails Maui." She'll tell you everything you need to know: where to find the trail, difficulty level, how long it'll take, and all kinds of other useful intel. You'll see the trail maps on large signs scattered throughout Lahaina, or, you can go to the Old Lahaina Courthouse and pick up a paper copy. There are dozens of sites of interest along the trail, and looking for them feels a bit like a scavenger hunt (in a good way!) Some of my favourites were the remains of The Old Fort, and the Prison Gatehouse. Also, if trying to find all 62 seems a bit intimidating, remember that you don't have to do them all at once! Heck, you don't even have to do all of them at all - just find the ones that pique your interest. There is a free Hawaiian Music Concert at the Baldwin Home Museum on the last Thursday of every month (if the last Thursday falls on a holiday, the concert will be held a week early). The concert runs from 6 - 7:30 p.m. on the front lawn. 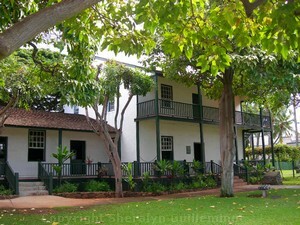 You'll find the Baldwin Home at the corner of Dickenson and Front Street in Lahaina. The Lahaina Cannery Mall puts on a free show at 7 p.m. every Tuesday and Thursday, plus free Keiki (kids) Hula shows at 1 p.m. on weekends. For more information, call 808-661-5304. 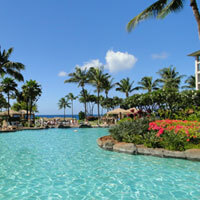 Another option is the free hula shows at Whaler's Village just off Kaanapali Beach. Their shows are held on Monday, Wednesday and Saturday evenings at 7 p.m. They also offer free hula lessons every Wednesday at 12 noon. For more information, call 808-661-4567. 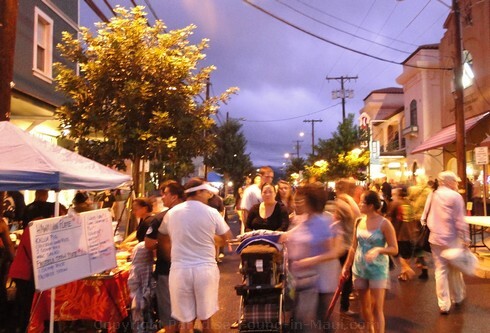 Wailuku First Friday is a fun street festival that's held on the first Friday of every month in Wailuku. It's a great option if you want to rub elbows with the locals, people watch, and enjoy the live entertainment. It runs from 6-9 p.m. on Market Street between Main and Vineyard Streets. Watch the sunset and see if you can catch a glimpse of the elusive "green flash." It doesn't happen every night, but when it does, it only lasts for a split second. Look for a flash of green right after the sun dips below the horizon. 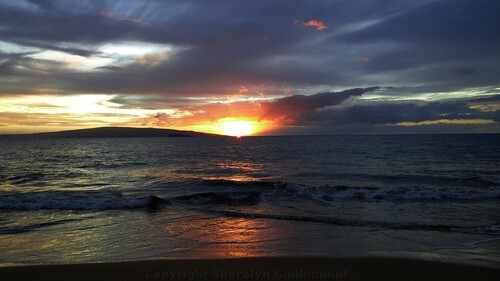 To maximize your chances of seeing the green flash, head for a part of the island with an unobstructed view of the western horizon: Kaanapali beach on the west side, Kamaaole Beaches on the south, or you can pull over along the Honoapiilani Highway between Maalaea and Lahaina. 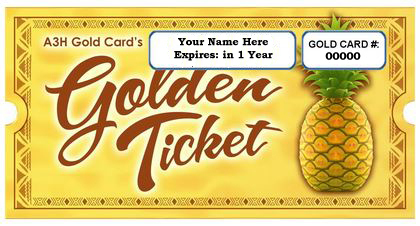 BONUS: How To Get HALF-PRICE TICKETS for Maui Attractions! 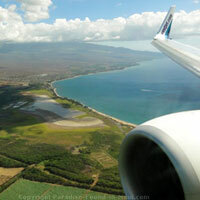 So now you know how to save a ton of money, with the best Maui activities on a budget of zero. I recently bought one for our upcoming trip, and have already saved $402 via half-price tickets for my family of 4. Now, you don't have to go crazy like I did and buy so many of these cheap tickets, but all it takes is buying a few tickets to make this $30 card a fantastic deal.